Ideal for elementary or pre-intermediate learners of English looking to improve and practise their English. The book is filled with useful vocabulary that is carefully graded and easy to understand, it also comes with audio, so that you can listen to the story at the same time as reading.There has been a ghost in the house for three hundred years, and Lord Cantervilles family have had enough of it. So Lord Canterville sells his grand old house to an American family. Mr Hiram B. Otis is happy to buy the house and the ghost - because of course Americans dont believe in ghosts.The Canterville ghost has great plans to frighten the life out of the Otis family. But Americans dont frighten easily - especially not two noisy little boys - and the poor ghost has a few surprises has a few surprises waiting for him. 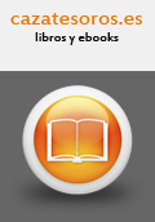 Opiniones del libro "OXFORD BOOKWORMS LIBRARY 2. THE CANTERVILLE GHOST MP3 PACK"